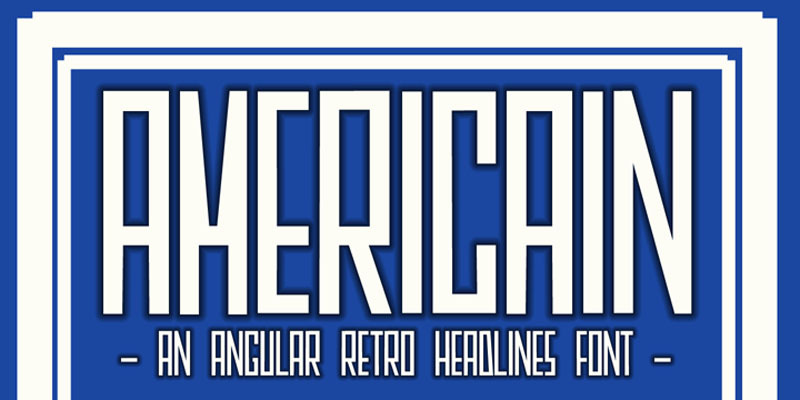 Americain is a retro-style font, which was based on a single headline from a thirties advertisement. The letters are all caps, but there’s a little difference between ‘upper’ and ‘lower’ case. Americain is ideal for headlines and posters.